"Sinuiju (a North Korean city on the Chinese border) is only 220 km away from Pyongyang," Liu writes, "but it took six hours to get there. It was already completely dark. 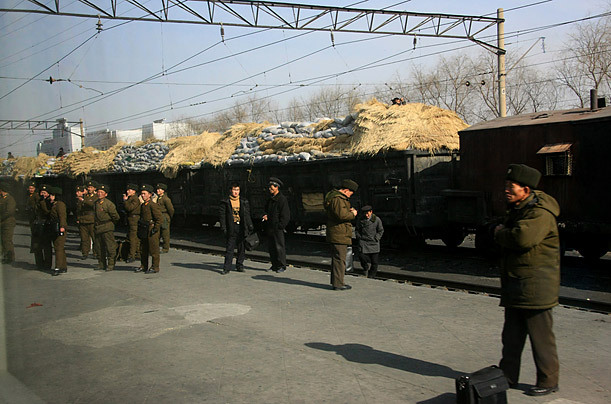 Fortunately, we saw our greeters, Mr. Kim and Miss Kim, at the Pyongyang Station. They said the arrival of today's train had been reasonably punctual. Due to lack of electricity the trains often stopped along the way, delays were very common, and sometimes they did not arrive until the following day."